Gold tones and lace accents in this light and airy room capture the sunny dispositions of William Torbett and his wife Maggie. The Eastlake furnishings add to the charm of this room which includes a extra long full size bed, drop leaf desk, armoire, dresser, and settee. Enjoy the warmth of the afternoon sun from the bay window in this second floor room. 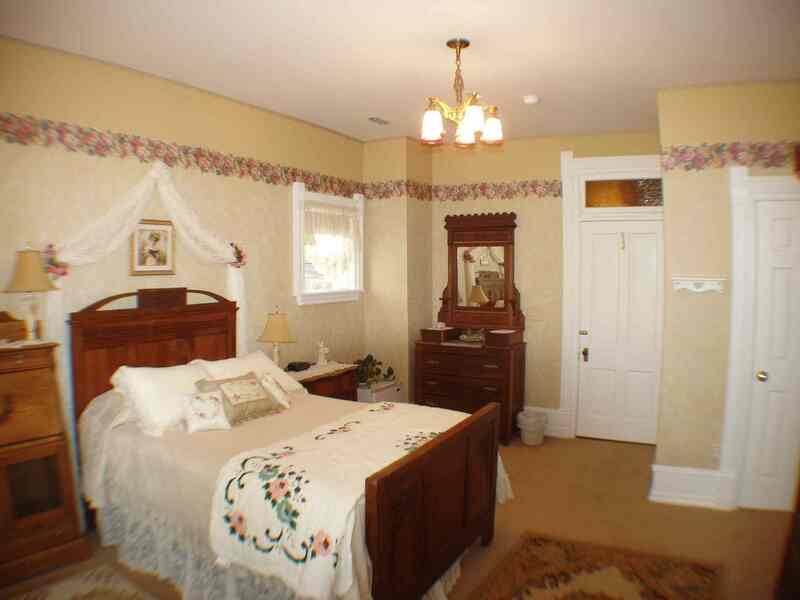 Beaded wainscoting invites you into the full private bath with claw foot tub and shower.